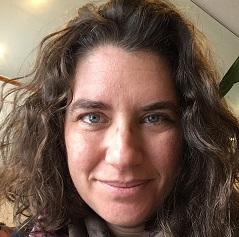 Andi Diehn is a writer and editor with a BA in English and an MFA in Creative Writing from Vermont College. She is the author of four nonfiction picture books, Forces, Energy, Matt er, and Waves, plus several books for children in elementary and middle grades, including Shakespeare: Investigate the Bard’s Influence on Today’s World; and Technology: Cool Women Who Code. She edits children’s nonfiction for Nomad Press and is always on the lookout for books that indulge kids’ natural curiosity about the world of science!